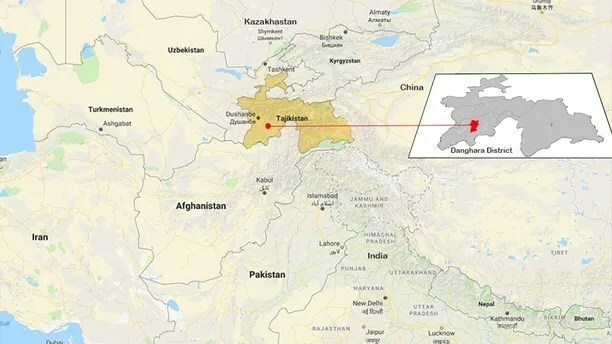 Lauren Geoghegan and Jay Austin were among the four foreigners killed when a car rammed into their group south of the Tajik capital of Dushanbe on Sunday. The other victims were from Switzerland and the Netherlands. According to their blog, Geoghegan and Austin began their journey in July 2017 in South Africa. They made their way to Dar es Salam then to Europe. In May, they flew from Istanbul, Turkey to Almaty, the largest city in Kazakhstan. They last blog post was from July 11 after they cycled from Too Ashuu to Ala-Bel in Kyrgyzstan. Georghegan was a 29-year-old graduate of Georgetown University, where she majored in government and minored in Spanish and Arabic. She worked at the university’s admissions office. “We are heartbroken to hear of Lauren’s passing in this devastating tragedy and have expressed our deepest condolences to her family. Lauren was a valued colleague and dear friend to many at Georgetown and an overall treasured member of our community,” Georgetown University Dean of Admissions Charles Deacon said in a statement. Austin worked at Boneyard Studios, a small company building sustainable homes. The U.S. State Department said it is working closely with Tajik authorities to investigate the attack.